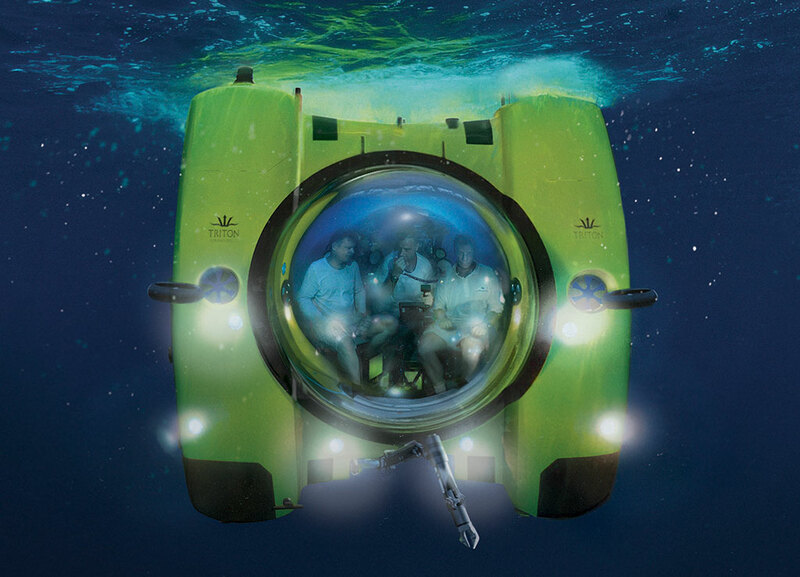 Personal Submarines on Luxury Expedition Yachts Opening New Frontiers. Just looking at the superyachts moored in the harbor it was clearly evident that expedition yachts are far and few between. Nonetheless, the idea of exploring ‘off the beaten track’ and venturing to wild and exotic regions was generating lots of buzz at the Show. Today, more and more yachts are being billed as “Explorer” yachts, or are equipped with new toys to allow greater exploration. Case in point: probably the hottest toys on display this year were personal submarines. As this article in Business Week points out, submarines are rapidly becoming common on luxury superyachts. Only a few years ago, there was only one sub company at the Monaco Yacht Show. This year, there were four. Perhaps most exciting are the new boundaries that being opened up by these submarines. New technology can help facilitate better private scientific research projects; indeed, Triton submarines were used in the recent first ever filming of a giant squid! Whereas personal submarines were limited to depths of only a few hundred feet not so long ago, Triton now has subs that can reach 3,300 feet! Deppe also took time to discuss plans for its Triton 36000/3, which is currently in the final stages of design. With the first one hopefully hitting the water in around two years, this submarine would be capable of reaching the deepest parts of the ocean—all the way to 36,000 feet. At EYOS, we wholeheartedly embrace the spirit of exploration and discovery. We look forward to working with many more yachts in the coming years as they explore far below the surface!